How big is "Project RedLime" going to be? Bigger than anything else Starbreeze has worked on. 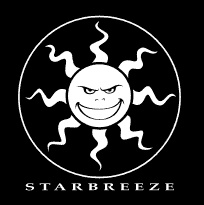 For the amount of time that Electronic Arts has had Starbreeze working on "Project RedLime", not much is actually known about it. Rumor has it that the game will be the long-awaited sequel to Syndicate, but that has yet to be officially revealed. However, one thing is now certain: The game is pretty massive. According to Starbreeze's CEO, Mikael Nermark, the game is "the biggest project the studio has ever worked on." That's a pretty bold claim, considering how big Chronicles of Riddick: Escape from Butcher Bay, its sequel Assault on Dark Athena, and The Darkness all were. However, Nermark could confirm that Starbreeze is enthusiastic about its new game: "All games have their pros and cons, but of course you could be more creative working on a none contemporary setting. Whatever the project is, if it's an original IP or license, the most important thing is that you believe in the game and have fun developing it." "RedLime" is the second project Starbreeze is working on with EA. Prior to this, the studio was developing a Jason Bourne game (which would have been based on the novels, rather than the movies); that title was subsequently canceled by the publisher.